Backyard fun doesn’t have to be expensive! Above ground pools are an outstanding option for people who want to have all of the fun and enjoyment of a backyard pool, but without the larger price tag that goes along with an in-ground model. Maintenance on an in-ground pool is easy; they are kept clean and sanitary through a basic filtration system that usually includes a sand filter. Above-ground pools do require the same types of routine care and maintenance as any pool; this includes making sure the chemicals like chlorine are added and balanced, as well as vacuuming to help keep the liner as clean as possible. 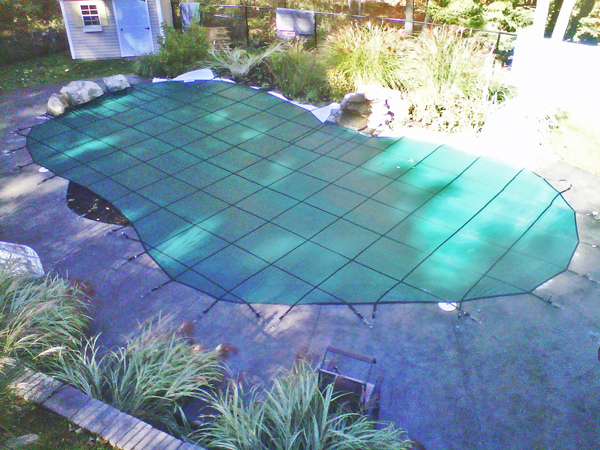 During the winter, above-ground pools are “closed” by covering the filled pool with a winter pool cover made of extremely tough and durable plastic. At Daigle Servicing Company, we install the best-quality above-ground pools that are available on the market today. We work with established companies like Atlantic Pool Products and offer traditional above-ground pools like the “Infinity” and “Costa del Sol” models. These pools are extremely sturdy and durable; much more so than the above-ground pools that are typically available at many retail pool stores. For example, the “Infinity” and “Costa del Sol” models are made with hot-dipped premium galvanized steel as well as corrugated and reinforced walls that will protect the pool against cold weather and ice—which is an issue we have to contend with here in New England from time to time. In addition, these two above-ground pool models feature a beefy 25-guage liner. In-Ground or Above-Ground? How about both? In case you haven’t noticed, New Hampshire backyard landscapes are not always flat. So, if you happen to have a yard like this – and a small budget to work with – you can’t have a pool, right? WRONG! 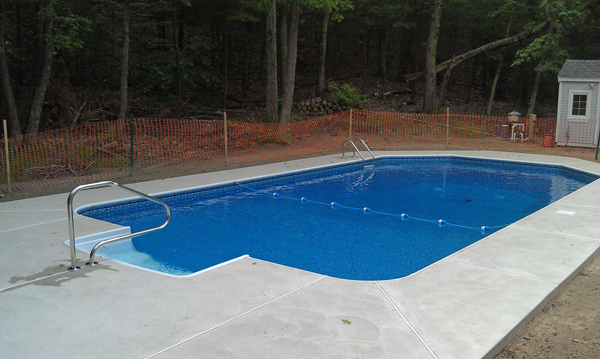 For homeowners who have uneven yards with a sloping terrain, we often install a hybrid pool. This product, made by Radiant Pools, allows us to install a full-sized pool without extensive excavation or site leveling. The unique engineering of this heavy-wall hybrid pool allows it to be fully above, or partially buried into the grade. This gives our installers the flexibility to work around most landscape challenges. For this reason, the Metric pool by Radiant has becomes our number one selling above ground pool.